Are you dreaming of all things pumpkin yet? Just me? 🙂 If you have been around here any length of time, you know that I am obsessed with all things pumpkin. Fall is by far my favorite season when it comes to food … isn’t it everyone’s?! Side note: If you’re looking for a homemade pumpkin butter, my bloggy friend Deb, over at Cooking on the Front Burner has an awesome one! Click HERE to see Deb’s Pumpkin Butter recipe! 1. Place the Chex cereal in a large bowl that has a lid or a large paper grocery bag. Set aside. 2. In a small bowl, combine the dry cake mix and powdered sugar. Set aside. 3. In a medium saucepan over low heat, melt the pumpkin spice candy melts, butter and pumpkin butter until smooth. Stir constantly. 4. Working quickly, pour the candy melts mixture over the cereal. Shake or stir until thoroughly combined and the cereal is mostly covered. 5. Immediately pour the dry cake mix mixture over the top and shake until the cereal is well coated. Jamie, these look AMAZING! So good, in fact, that I worry I might eat all of them in one sitting if I make them. 🙂 Definitely perfect for a party this season! Pinned and tweeted! These look delicious! I love pumpkin recipes! Thanks for sharing. I'd be thrilled if you'd link up at this week's Off the Hook! Oh, love having another pumpkin snack recipe – how awesome do these sound? Love these, Jamie – thanks for sharing and pinning! Fun! I love the seasonal spin! Pinning to the Monday Funday board! Thanks for linking! Jamie! I love that these have double the pumpkin with the candy melts and pumpkin butter. Delicious! This is brilliant! What an original version of this treat; well done! Pinning! I can't see how these wouldn't be delicious 🙂 Must try! I love Muddy Buddies but have never actually made it! I'm going to try this for our family vacation coming up. 🙂 Thanks, Jamie! 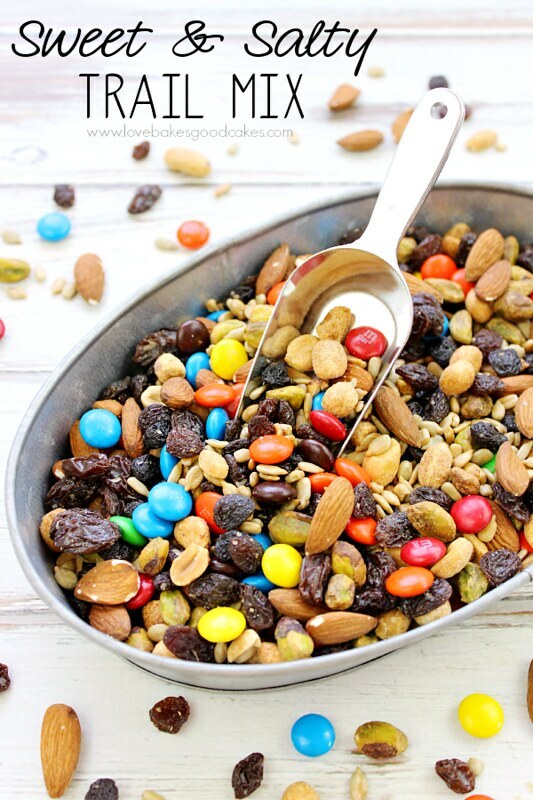 Love this fun snack Jamie!! What an inspired and clever way to use the candy melts! You go, girl! This would be great to make for our annual fall party! How ingenious is this? I had no idea Wilton made pumpkin flavored melts! This looks like a cute Halloween Snack! 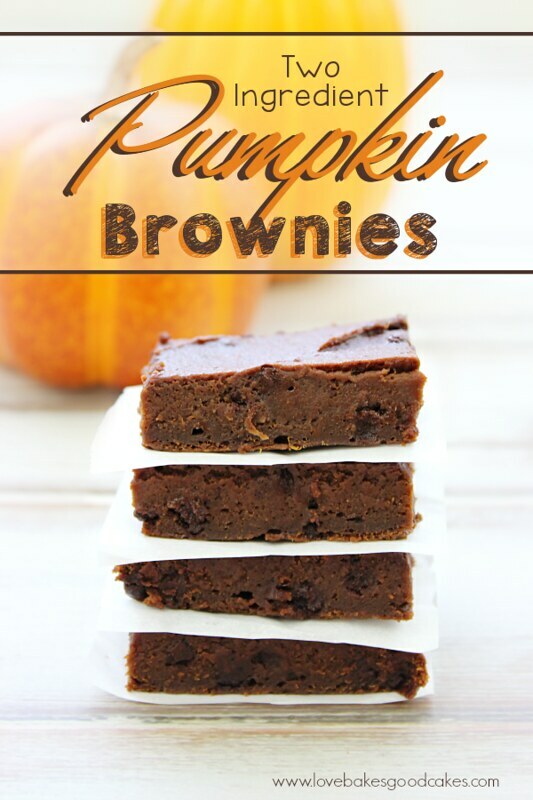 Then I scrolled down to the pumpkin Brownies……….Now then you are speaking my language! Pumpkin pumpkin pumpkin! I love it. And, I love these Muddy Buddies! Must try soon! Yes please! I want a batch right now for dinner. I love Puppy Chow! But it's been a long time since I made any- this looks like a good one to try. Love the pumpkin snacks…so perfect for this time of year! They look delicious, Jamie! I have actually never made a muddy buddy mix! Looks good, though! 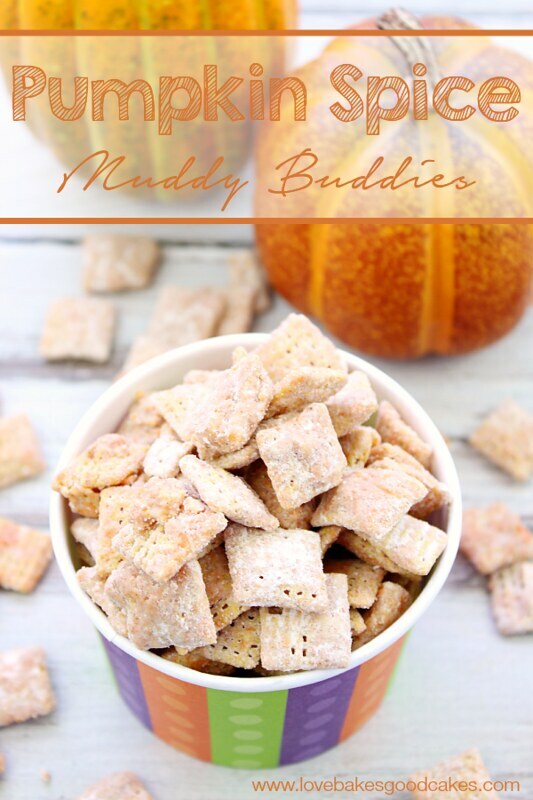 I love Muddy Buddies, but I've never had a pumpkin spice version! I bet this one is awesome! Absolutely love puppy chow, I will have to try your spin on it! yum!!! these look SO good! 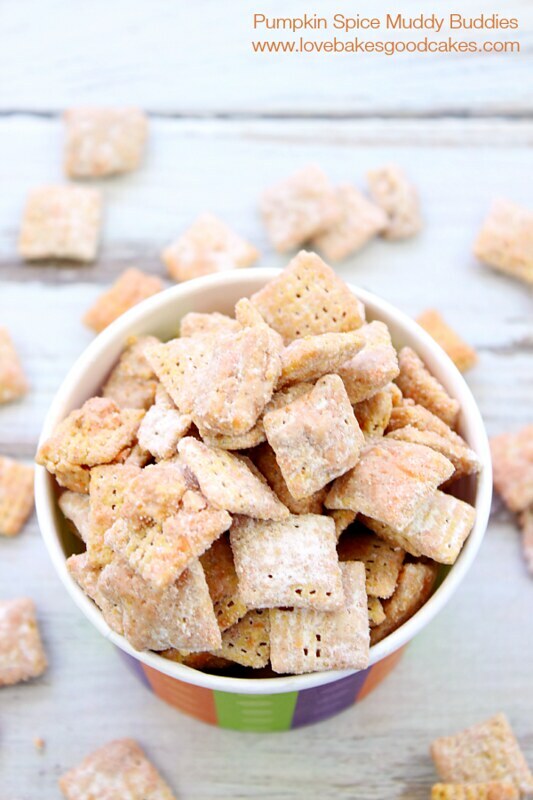 My MIL Is great at muddy buddies… I should show her these ;o) love the new header too! Wow… Just when I think I won't see any "new" pumpkin ideas, someone comes out and does something that I would never even think of! I love this recipe, Jamie! 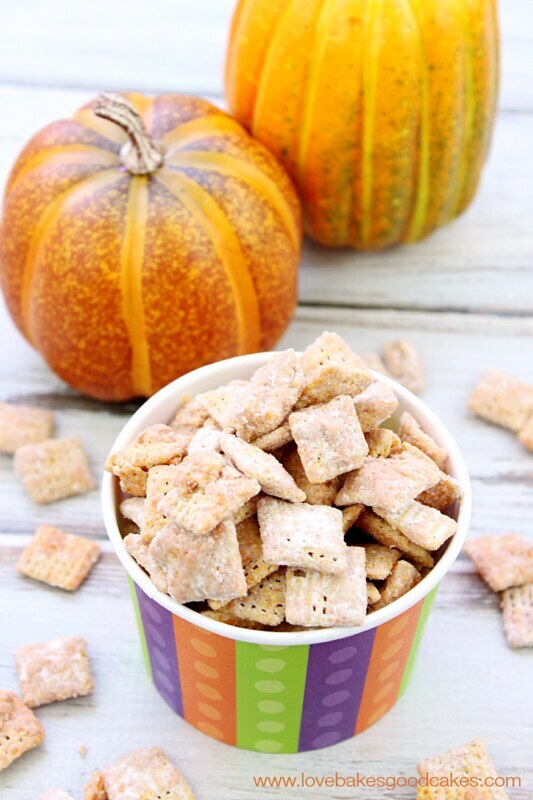 I love any flavor of muddy buddies, but pumpkin sounds like the best! Yum! What a delicious snack! And it's just perfect for the season!